Home > Metals > South Crofty: The tin mine that wouldn’t die? South Crofty: The tin mine that wouldn’t die? On August 11, 2016, the West Briton newspaper in the UK published a story under the following headline: “Tin mining at South Crofty could resume ‘within two years'”. And while it’s fair to say that the news caused barely a ripple in the global tin market, it nevertheless represents a potential new instalment in a very old story stretching back over two millennia. A wild landscape haunted by lurid stories of smugglers and wreckers, and myths of King Arthur, these days Cornwall is probably known to most primarily as a tourist destination and as the picturesque backdrop of many a TV series. But the mining tradition in Cornwall goes back, according to various estimates, anywhere from 2,300 to 2,500 years, and at its peak in the late 18th and early 19th centuries this remote corner of Europe was supplying a significant portion of the world’s tin. [Full disclosure time: I was born in Cornwall, and my surname is relatively uncommon outside of the county, though it does crop up in various far-flung global locations courtesy of the Cornish mining diaspora of the 18th and 19th centuries]. Output steadily declined in more recent times, with the collapse in tin prices following the so-called Tin Crisis of the mid-1980s providing a final hammer blow. South Crofty — the last operating tin mine in Cornwall, which began large-scale production in the mid-17th century — closed in 1998 and the mine was allowed to flood. In its last full year of operation, 1997, the mine produced 181,320 mt of ore grading 1.42% Sn. In 2006, various mining landscapes across Cornwall and west Devon were designated as a UNESCO World Heritage Site. But while a number of Cornish mine sites — including the Geevor tin mine, which was a working operation as recently as 1990 — are now museums, South Crofty stubbornly refuses to die. The site has changed hands several times since its closure 18 years ago, with various plans to restart mining which never came to fruition. In July of this year Canadian mineral exploration company Strongbow Exploration completed its acquisition of the South Crofty project, plus associated mining rights. Strongbow says its focus will be to evaluate tin-only mineralization that occurs primarily from a depth of 400 meters below surface. When South Crofty closed, in March 1998, London Metal Exchange cash tin prices were well below $6,000/mt. Since then, prices have averaged just shy of $13,000/mt, peaking at above $33,000/mt in April 2011 and currently trading at around $18,500/mt. According to the International Tin Research Institute, the world’s reported tin resources at the end of 2015 totaled 11.7 million mt, including 2.2 million mt of reserves. The five largest countries were China [35%], Russia [12%], Australia [8%], Indonesia [7%] and Brazil [6%]. Whether Strongbow’s optimism will be vindicated, and Cornish tin will once again be in a position to compete with the existing mining powerhouses, plus relative newcomers like Myanmar, remains to be seen. There have been false dawns before, of course, and it’s by no means unlikely that South Crofty will finally fade into history and take its place alongside the other shuttered relics of the World Heritage mining landscape. But I suspect that it’s not necessary to have local roots to harbor a sentimental hope that the long story of Cornish tin mining may just have one more chapter still to be written. Andy Blamey is associate editorial director of the S&P Global Platts EMEA metals team, based in London. He is currently on his third stint at the company, interspersed with a spell as a commodities correspondent at Reuters and postgraduate research in modern French literature. While I wish South Crofty well in their endeavours, there is a lot of additional activity occurring in the Cornwall region. For starters, Wolf Minerals has funded and has operating the Drakelands’ plant – tungsten/tin operation. The company I am involved with, Strategic Minerals plc (AIM listed), is in a joint venture with New Age Exploration (ASX listed) to revive tin mining around the Redmoor mine near Kelly Bray. As we are not looking to go through the old mining shafts, we will hopefully not have the same water issues as South Crofty. Given the people of Cornwall’s proud mining history, the future for tin mining in Cornwall looks bright. 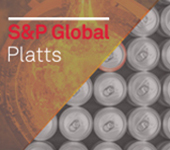 S&P Global Platts metals market reports feature global news, analysis, daily pricing, and commentary on major metals including aluminum, copper, lead, tin, zinc and precious metals, as well as ferroalloys and steel. If you would like to learn more about Platts nonferrous metals products or services, fill out our contact form and a member of Platts staff will be in touch. Platts metals reports will help you monitor global events and quickly spot opportunities or potential pitfalls, and help you make better, well-informed business decisions.